A few years ago if I told you that I headed to the freezer on busy days to whip up a meal for the family. I probably would have been mocked for it. In fact, I wouldn’t have even confessed to reaching for a packet of chicken nuggets for fear of comments about doing so. 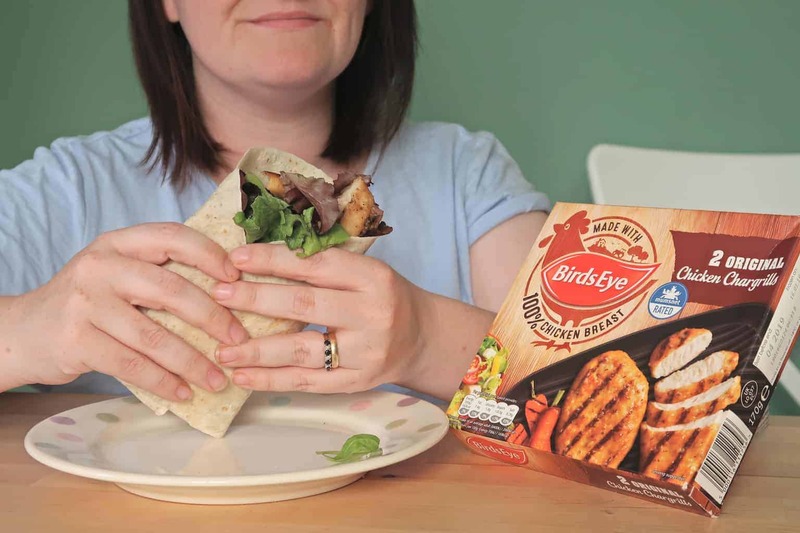 Nowadays brands such as Bird’s Eye take the quality of their frozen range very seriously. With a recent overhaul of their entire chicken range. Which for us as a family is fantastic, with a selection of crumbs and grills which are perfect with veg and potatoes. To the golden wholegrain nuggets which the children adore. Made with golden wholegrain they can be incorporated into family meal times in so many ways. Whether we are running short on time or I am just looking to get the children involved in the preparation of dinner. Making Bird’s Eye Golden Wholegrain Nuggets Kebabs are always a winner. Such a simple concept but one that can be put together in minutes. Then whilst it is cooking the children can get washed and changed, school bags can be unpacked and I can set the table ready for dinner. For the ultimate easy dinner create your own wraps are the way to go. Perfect for busy family teatimes, or even a makeshift BBQ idea (when you can’t be bothered to get the BBQ out, heat it up, cook and then clean it). 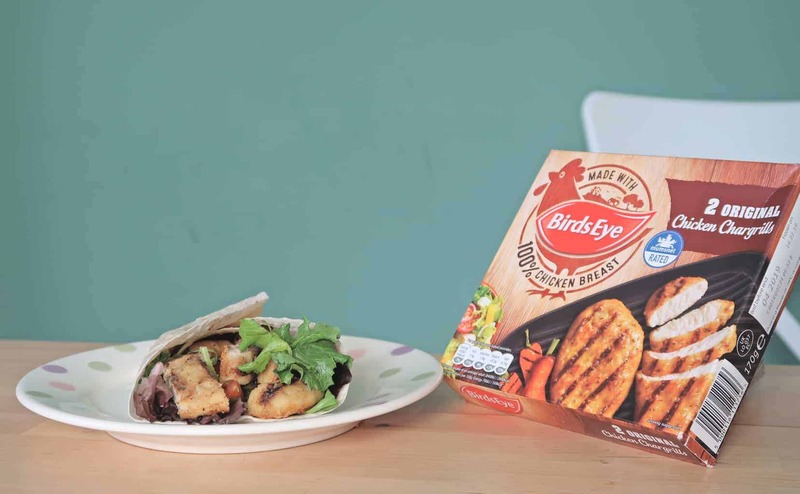 We tend to opt for the Bird’s Eye Chicken Chargrill range, however, the batter and crumb versions are equally tasty. Remove the chicken and tortilla wraps from the oven. Place the tortilla wraps onto a serving plate and add to the table. Let everyone dig in and create their own chicken chargrills wrap filled with salad and sauce for an easy and tasty tea. So in the words of Tigger… #WinnerWinnerChickenDinner! What are your go-to easy and tasty teatime favourites? We love Birds Eye Winner Winner Chicken Dinners too. I must admit I wouldn’t have confessed to using them a few years ago either due to fear of judgement and negative comments but happily say that I do now. 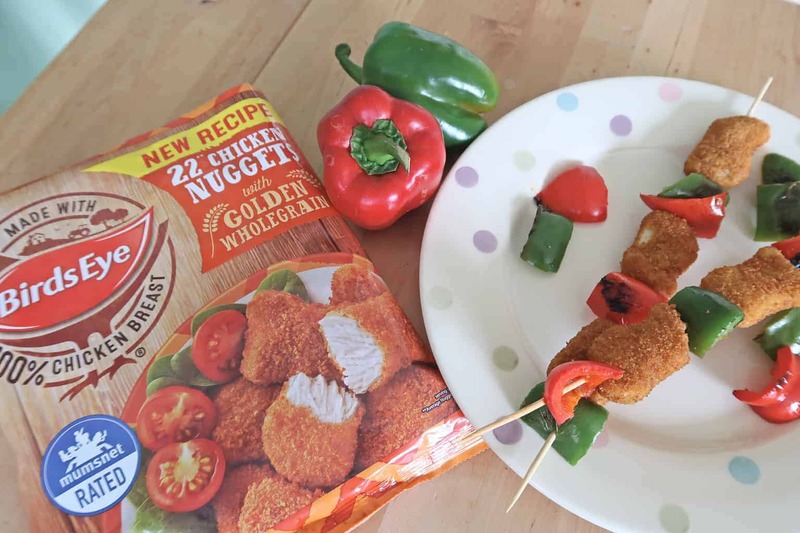 My kids love the Wholegrain Chicken Nuggets too, never tried them as a kebab before but will definitely give them a go as I think the kids would love the fun aspect of them. I don’t eat meat and the kids aren’t either (because they are both picky as hell) but these are great for when I make a salad for my hubby and myself – and hubby wants something more substantial too! Love the kebab idea, the children adore chicken nuggets but I am always looking at ways to get them to eat more vegetables. I quite often have a chargrilled chicken wrap, they are so easy to do and it always fills me up. 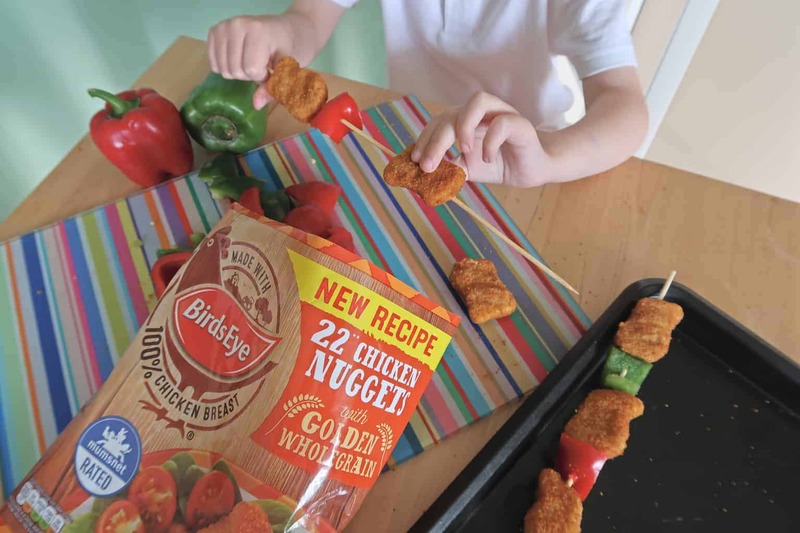 What a great idea using the nuggest with the peppers as a kebab…so stealing it for the kids! I know they will love it. We have these for the kids for quick dinners as well and they love it. My boys have just started to eat a bit more chicken so I might have to give these a try. Now if I could just get Lillie to give it a go!! My daughter is a HUGE fan on chicken dippers, goujons, nuggets, roast. You name it, she loves chicken! I will check out these as im sure she will be a fan!